Affirmation: I embrace my emotions. 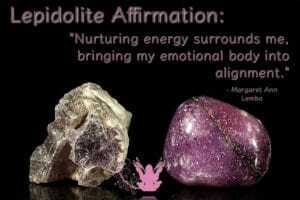 Nurturing energy surrounds me. 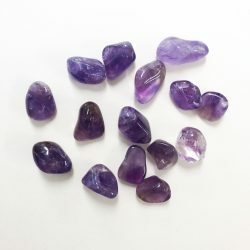 My emotional body is aligned. About the stone: Lepidolite is a silicate containing lithium, aluminum and potassium. 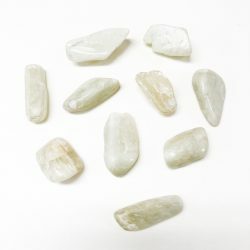 It fluoresces and is often found with other lithium minerals like tourmaline. 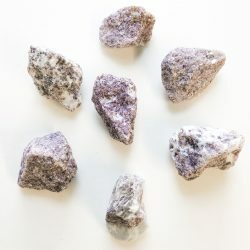 Spiritual uses: Lepidolite helps to hone psychic skills, including channeling and mediumship, while fostering a reasonable hold on this reality. 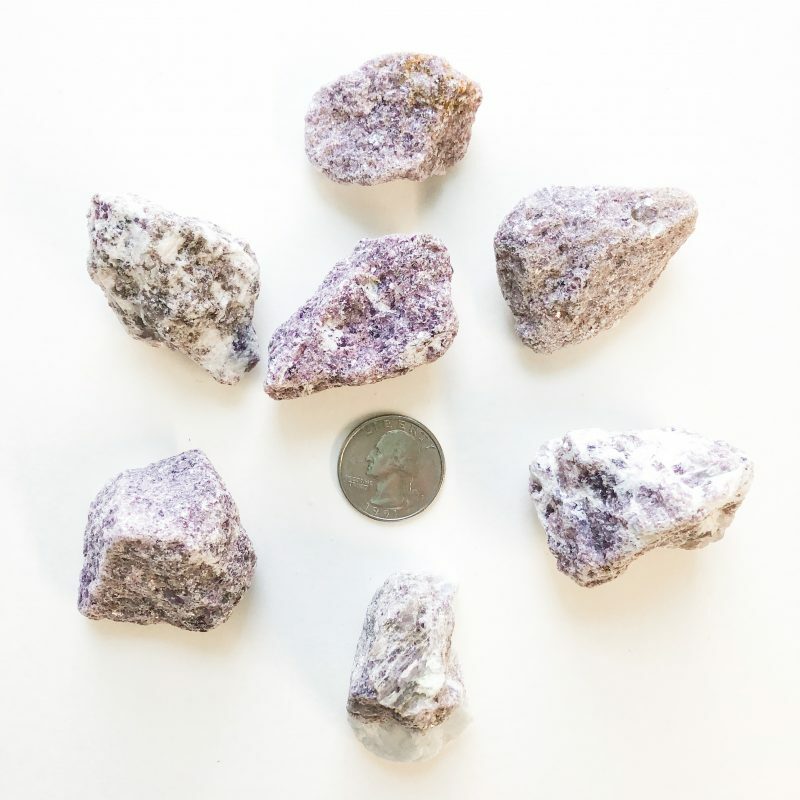 Mental uses: Lepidolite encourages a healthy, detached outlook on situations. 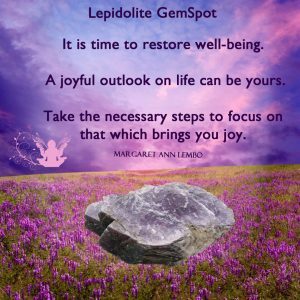 Emotional uses: Lepidolite carries the vibration of lithium, which is used medically to balance emotions and limit or eliminate extreme mood swings. Physical uses: The lithium contained within lepidolite holds the power to rebalance brain function and neurological functions.